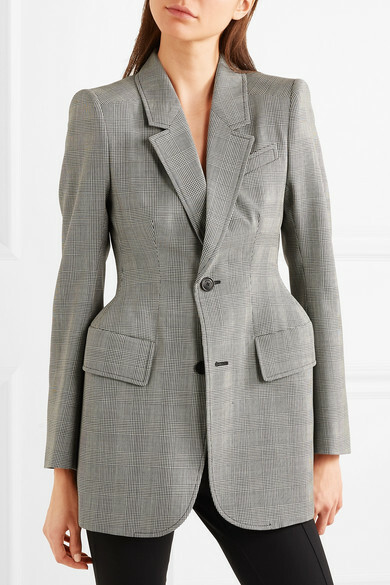 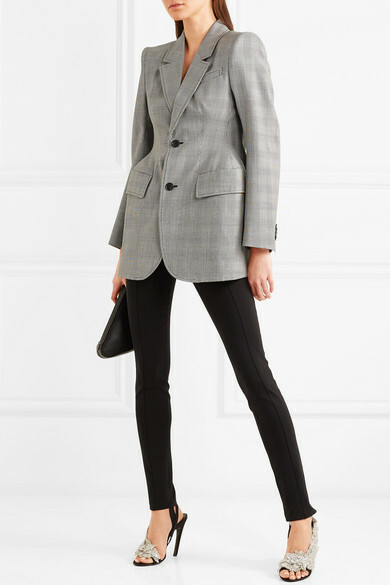 Balenciaga's blazer features some of founder Cristóbal's most recognizable signatures: lightly padded 'couture' shoulders and a sculptural hourglass shape. 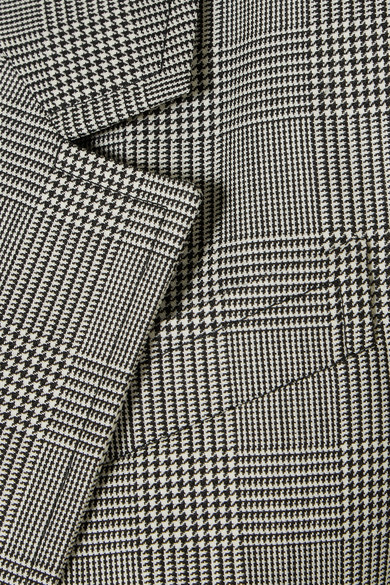 It's expertly tailored from a Prince of Wales checked wool-blend and has slim notch lapels and hip-framing flap pockets. 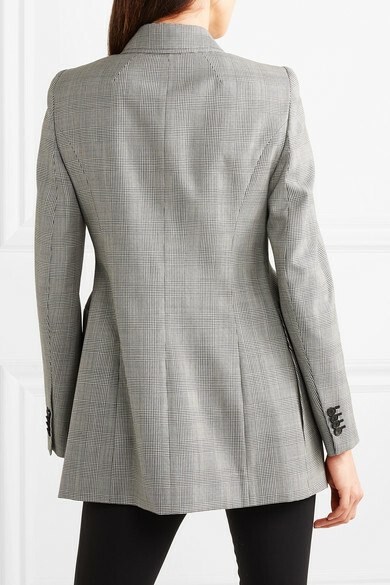 The buttons are embossed with the brand's moniker as a mark of its exceptional craftsmanship.